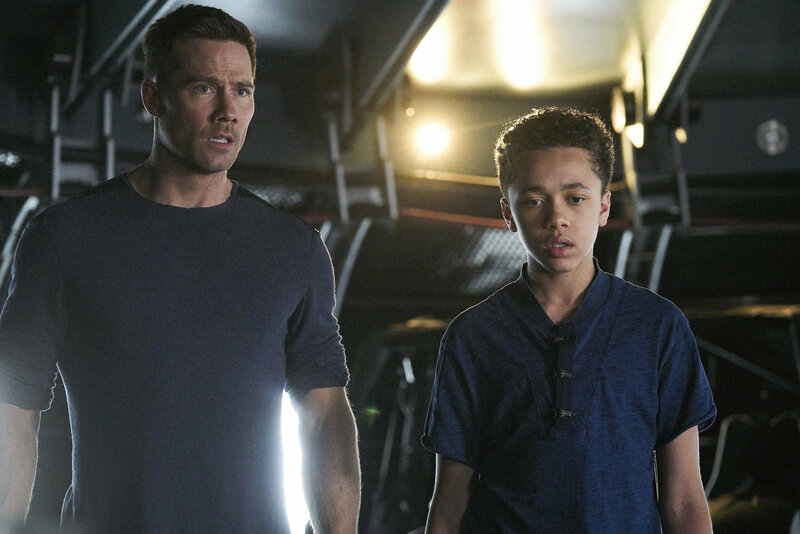 Friday night’s episode of Killjoys picks up in the aftermath of the Kid’s arrested development before he reached the same age as dad D’av and Uncle Johnny. This week, Auntie Dutch tries a little hand-to-hand training that goes a mite too far for D’av’s tastes. I’ll have a proper preview tomorrow, but first up, I chatted with Jaeden Noel, who plays Lucy’s newest resident, when I was on set for this episode back in March. As a young performer, Noel’s first loves were dance and drawing, until a family photography session nudged him toward acting. “My Mom booked a photo shoot for our family and the photographer was best friends with an agent. She told my Mom [that she liked our look] and sent us to the agent for a meeting,” he recalls. 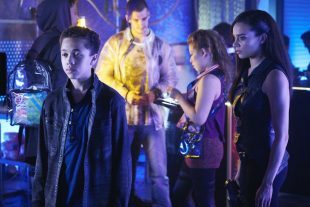 A relative TV newcomer who viewers may recognize from this past season of The Expanse, Noel was excited to join Killjoys. He credits his love of anime and his work in The Expanse for helping him settle in. “I watch a lot of anime and try to draw like them. I think that’s part of the reason being in a fantasy world is so easy for me, because that’s sort of what I draw,” he says. While we saw Noel’s character physically grow very quickly, we learn this week that it doesn’t mean he’s automatically at the same level emotionally or psychologically. Noel points to his real-life role as a big brother to help him play that arc. 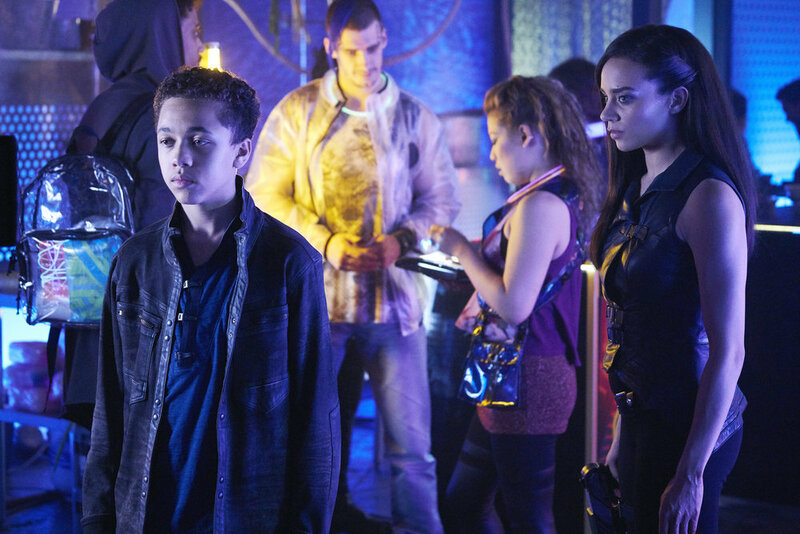 Killjoys airs Friday at 10 pm/9c on Syfy and Space Channel. The first five episodes this season are online at both sites and on their apps. All of our Season 4 coverage is here.